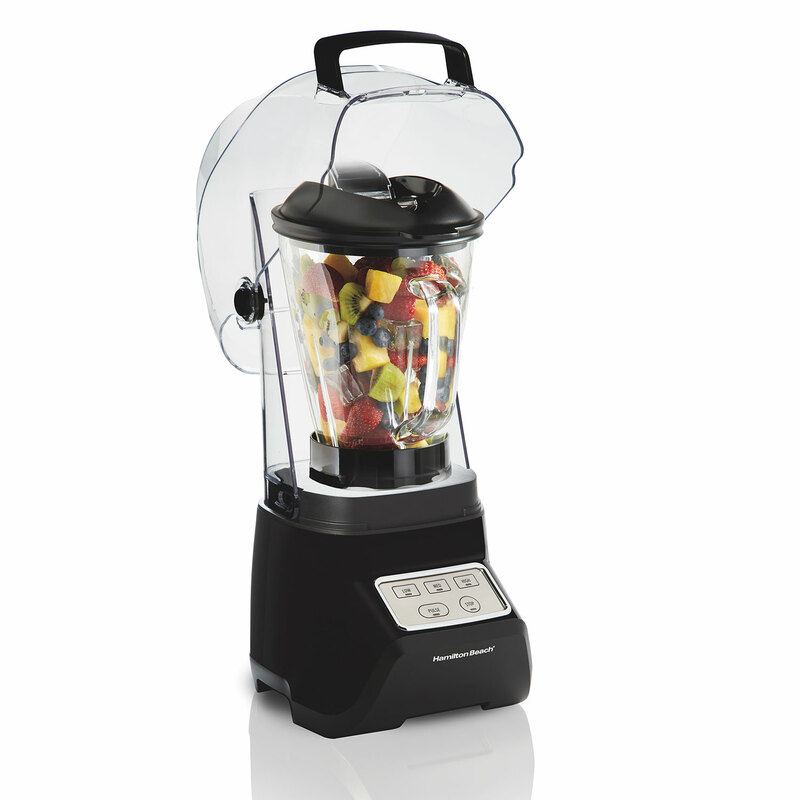 No need to worry about waking up the house – or the neighborhood – for that 6:00 a.m. smoothie. 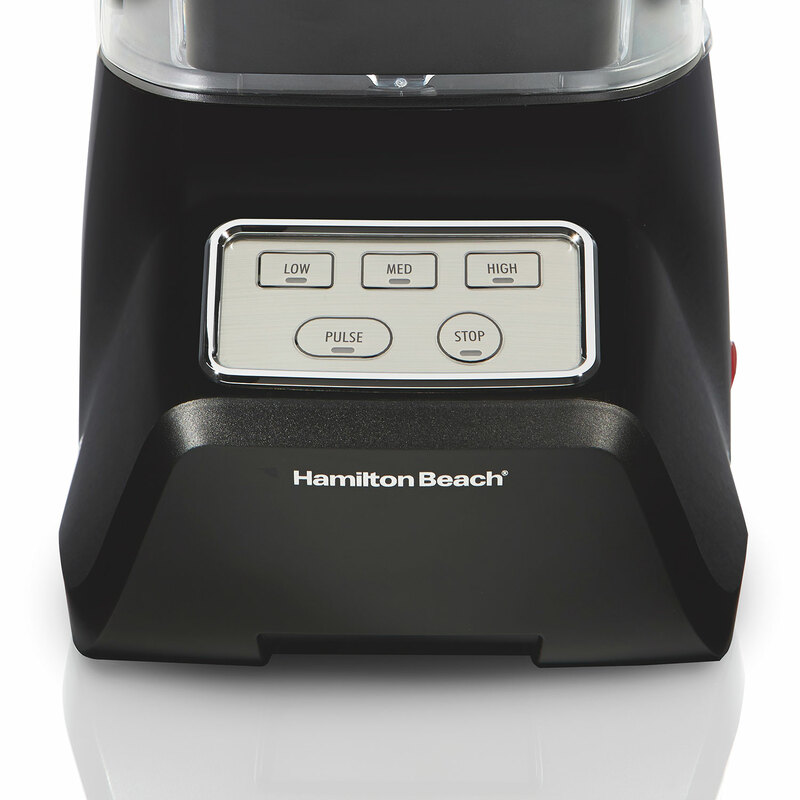 The Hamilton Beach® Sound Shield 950 is designed to reduce noise from the four different areas of a traditional blender. It’s quiet enough to carry on your party conversation when mixing margaritas, or prepping dinner while the baby naps upstairs. 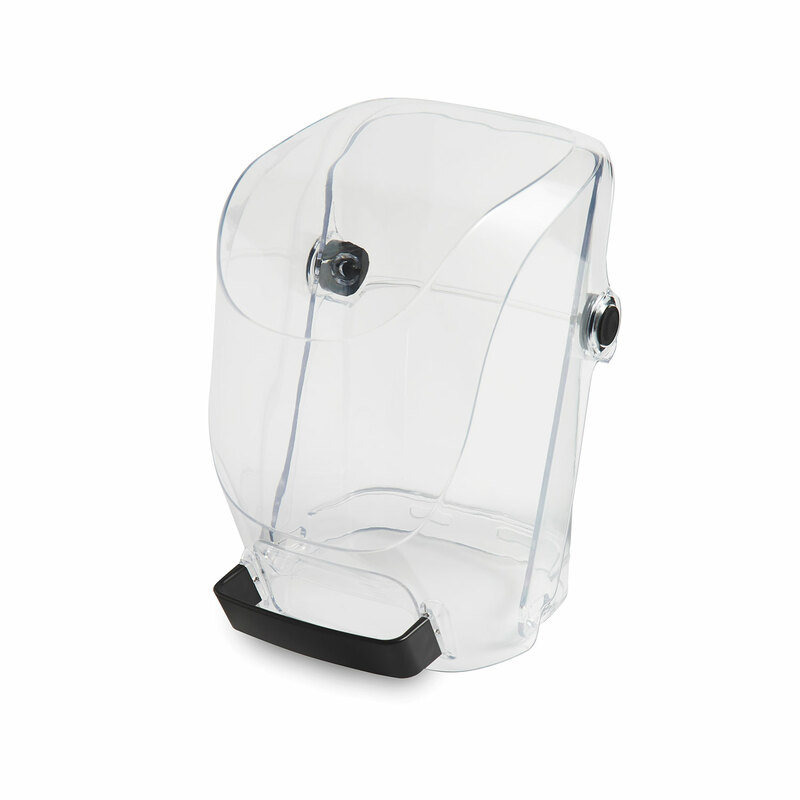 A hinged, 2-piece sound shield opens and closes over the 52 oz. 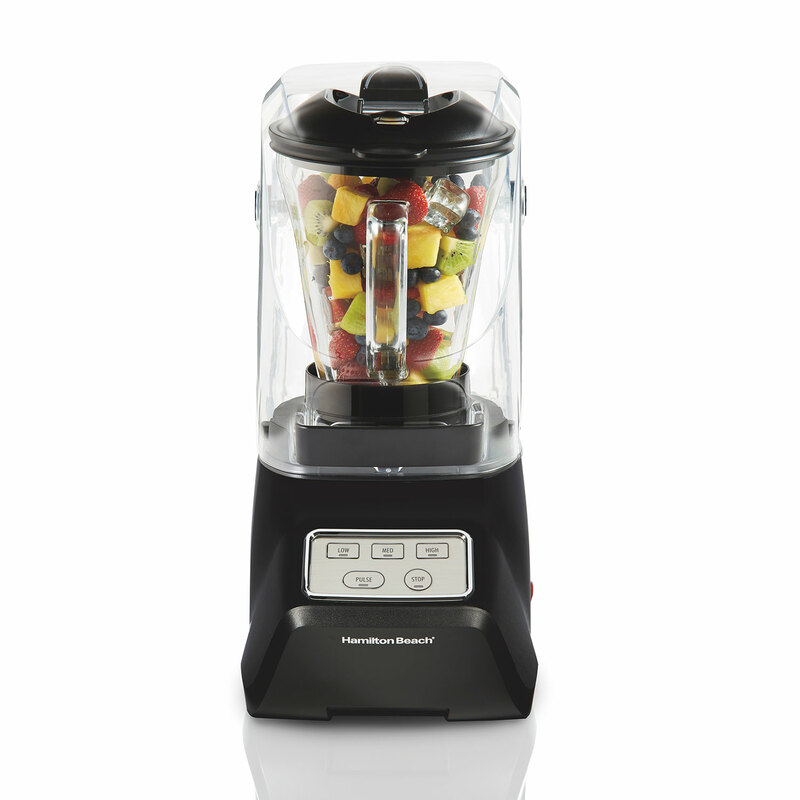 MultiBlend™ glass jar. 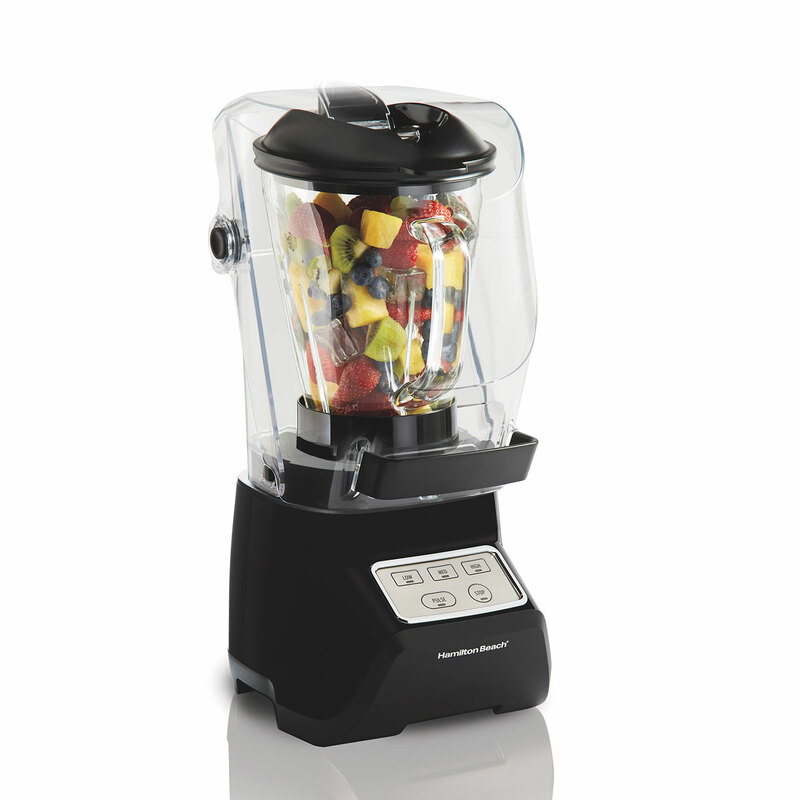 With 950 watts of power, 3 speeds with pulse, you can do everything from mix salsas to puree soups. 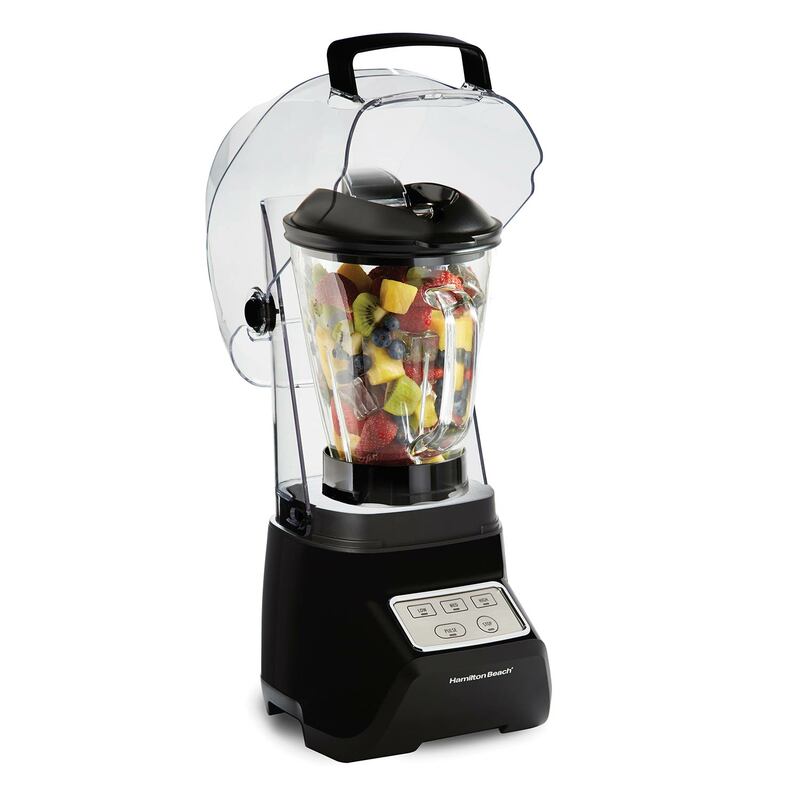 Stainless steel blades make quick work of crushing ice, and the drip-free pour spout means no more smoothie running down the side of the jar or all over your kitchen counter. The blade and jar are both dishwasher safe. Similar to commercial quiet blenders, a two-piece sound shield reduces noise while blending, even with frozen ingredients. 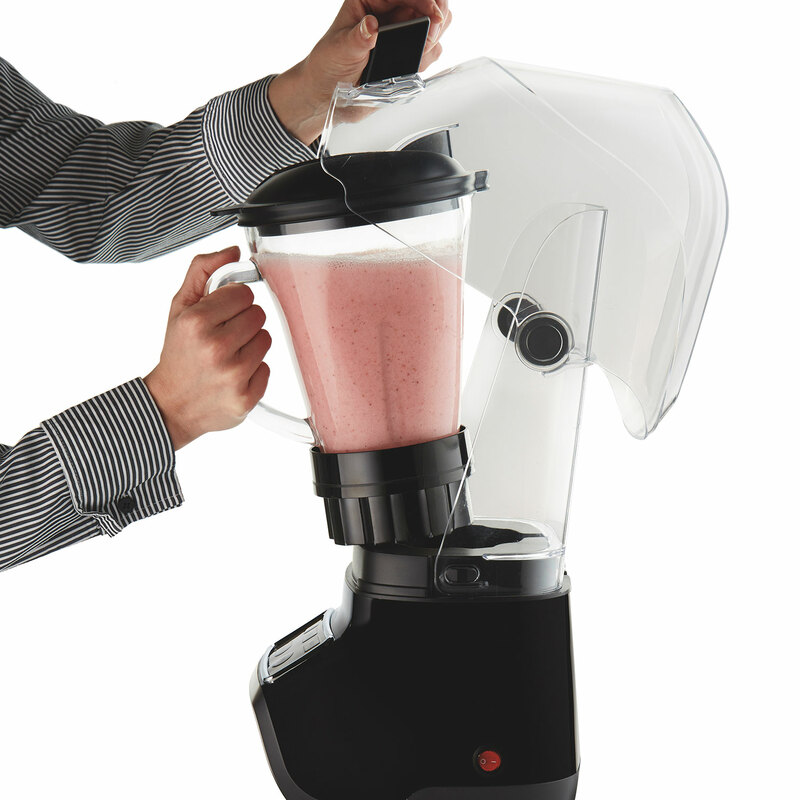 It’s hinged for easy access to your blender, and removes for cleaning. The motor enclosure and quiet fan design also work to soften sound. 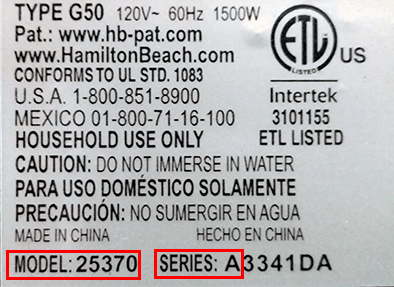 Control the 950 watts of power with three different speed settings range from high to low. A high-speed pulse lets you blend with control for the perfect consistency and to avoid over-processing. From fresh garden salsa to homemade butternut squash soup, puree and blend a variety of foods— including icy drinks like smoothies and margaritas— with the 52 oz. jar featuring the MultiBlend™ design and stainless steel blades. It's also dishwasher safe! 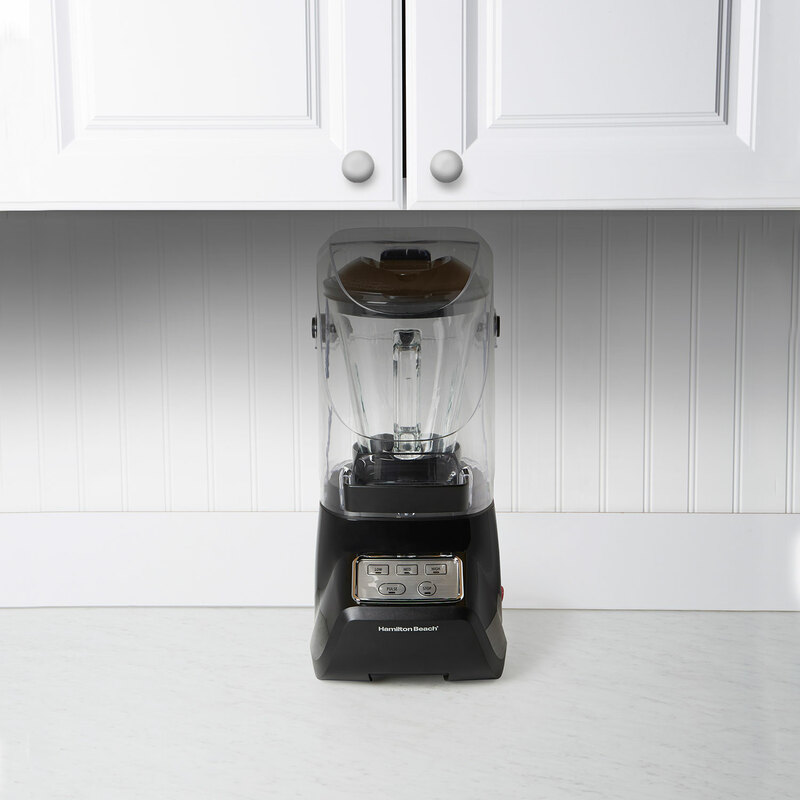 Make this blender a countertop mainstay – it’s sized just right to fit under most standard cabinets.